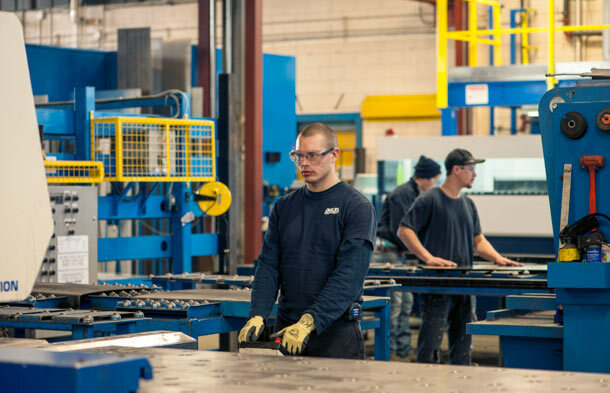 Our 53,000 square foot manufacturing plant is located in the city of Kitchener, in the Region of Waterloo, which is central to many large population centres in Ontario, Canada. We source our components locally and our major suppliers are from North America, not overseas, so product turnaround time is minimal. Buying local through Delta prospers the Ontario economy, lowers your transportation costs, and reduces greenhouse gas emissions. Delta Elevator’s manufacturing operations are certified to the ISO 9001:2015 standard by QMI-SAI Global. Before the customer places an order, Delta’s team of engineers assesses the project to identify potential problems with layout and non-standard design to ensure that the right product can be delivered on time. Once an order is received, our engineering team oversees all aspects of the design. From the basic structural welds to the final fitting and in-shop assembly of standard and custom cabs, the entire unit is inspected and given the engineers’ seal of approval. Delta’s incorporation of high-tech electronics and computers into our elevating devices puts us on the cutting edge of the industry. In our fully-equipped computer engineering electronics lab, we have developed intelligent and efficient solutions to age-old elevating problems, such as harsh stops and starts and out-of-level situations. Our highly skilled fabricating staff uses state-of-the-art CNC equipment to manufacture elevators and controllers using lean manufacturing techniques, ensuring that only consistent, high-quality products bear the Delta Elevator name. 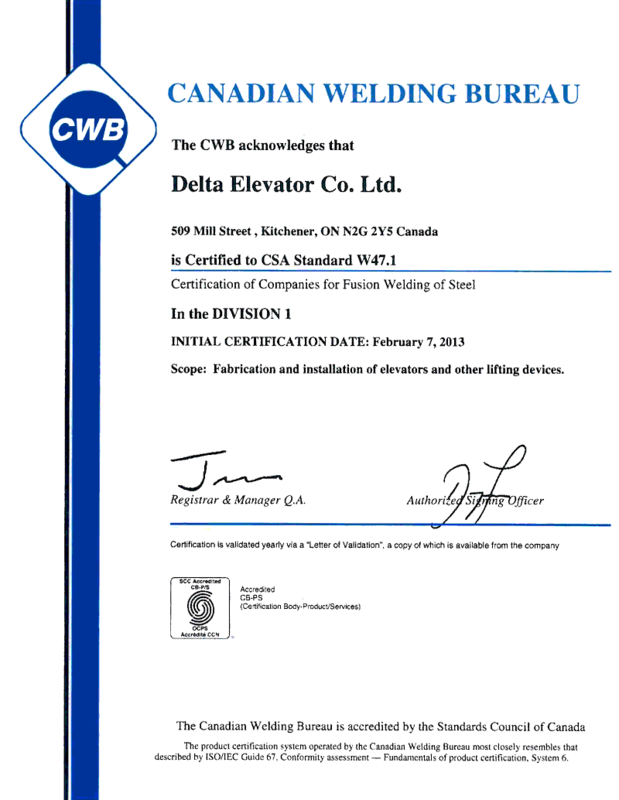 Delta Elevator Co Ltd is structured so that all field representatives have direct access to our design engineers. With feedback from our field reps and customers, as well as taking new TSSA regulations into account, our standard designs are frequently upgraded and improved upon. Our continuous innovation and commitment to quality helps us stay at the top of the elevator market in Ontario.